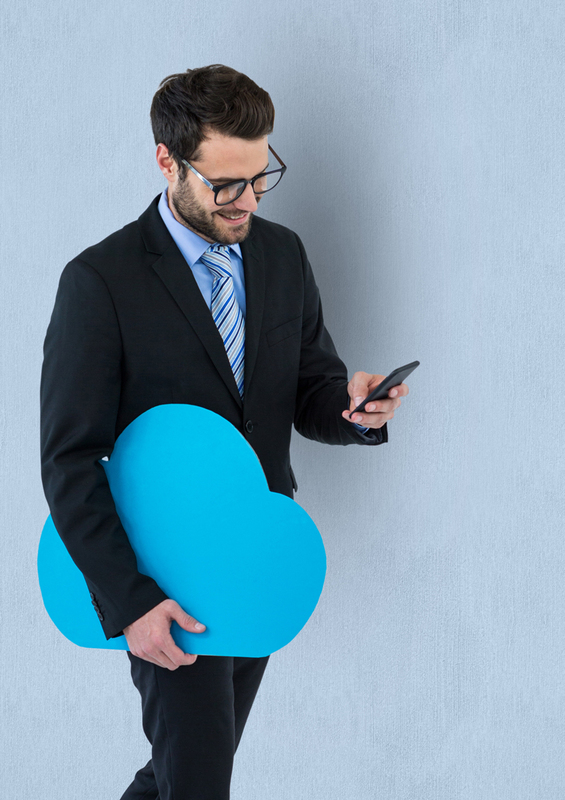 Cloud-based, next-generation business communications solutions. 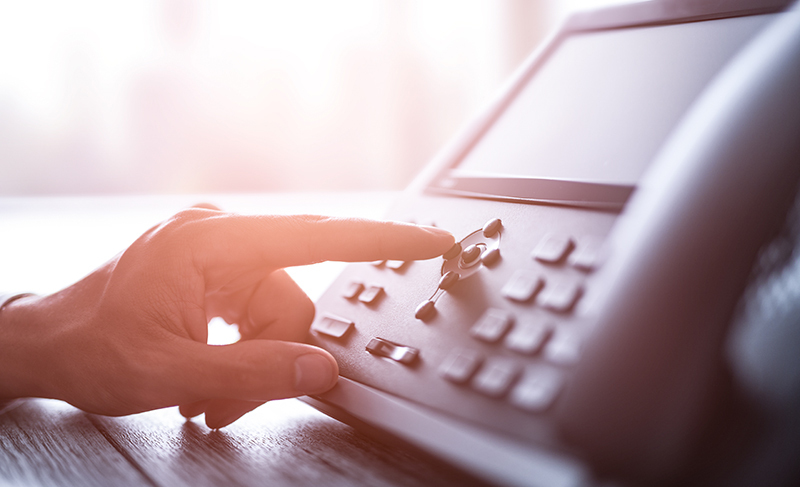 A growing number of businesses are finding that their traditional PBX premises-based phone systems no longer serve the needs of their organization. Old phone systems are hard to manage, difficult to keep up-to-date and cost businesses a lot of money. For many customers, it may be time to make the transition to a hosted voice system. By leveraging the cloud to host a business phone system over the internet, businesses enjoy access to all of the typical feature functionality associated with a premises-based phone system, but with the added benefits and advantages of next-generation mobility, advanced security, unlimited and on-demand scalability and sophisticated integration capabilities. Many businesses are searching for ways to generate cost savings and drive greater performance from their communications infrastructure. With no upfront capital expenditures and improved overall business reliability and continuity, hosted voice has become the perfect fit for organizations of all types and sizes. The EarthBend360 team can help you to capitalize on this growing demand with our feature-rich and reliable hosted voice platform. Lower System, Capital & Maintenance Costs: A hosted voice system doesn’t require a large up-front capital investment to purchase servers or other expensive hardware. Additionally, ongoing maintenance costs are built into the monthly subscription fee. Flex Communication Resources On Demand: A cloud-based communication solution lets customers quickly scale up or down in response to business needs. They simply purchase the number of licenses needed for as long as they need them. Adopt Big-Business Capabilities on a Small-Business Budget: When making the move to the cloud, businesses can begin to add sophisticated new capabilities to their operations that might otherwise be unaffordable. Flexible & Accessible Business Communications: Since the technology is hosted in the cloud, remote and mobile workers can access and use the phone system anywhere. Maintain a Focus on Core Business Needs: Organizations should be focused on their primary business activities, not managing a phone system. With the deployment of a hosted voice solution, customers can concentrate on achieving their business goals, and can do so with the support of cutting-edge communication tools. Ensure Business Communications Continuity: A cloud-based phone system helps to ensure uninterrupted communications since the services are hosted off-site in secure and redundant data centers. The Hosted Voice Market is Growing. According to a recent ResearchAndMarkets report, the global hosted PBX market size is expected to grow from USD 4.73 billion in 2018 to USD 9.50 billion by 2023, at a CAGR of 14.9% during the forecast period. Hosted voice is gaining traction due to the increased need for enterprise mobility and rising adoption of the cloud and unified communications. Furthermore, low CAPEX and TCO, and the necessity to upgrade from traditional PBX to cloud-based PBX, are driving the market. North America is expected to hold the largest market size in the hosted PBX market during the period. The emergence of trending technologies, such as cloud, IoT, mobility and unified communications are driving the critical need for reliable connectivity and communication. Connect Remote and Mobile Workers from Multiple Locations. In addition to the cost advantages, hosted voice systems offer superior communications flexibility and accessibility. Since the technology resides in the cloud, remote and mobile workers can access and use the phone system anywhere. The EarthBend360 hosted voice solution is designed to support small, medium and large businesses as well as distributed enterprises with branch offices in multiple locations. It enables workers located in geographically dispersed locations to communicate through a single cloud-based system and stay connected. Workers can make and receive phone calls using the main business number or their personal number, regardless of which device they use—a mobile phone, desk phone, desktop or their home phone. Workers in branch or home-based offices are able to enjoy and use the same business telephony capabilities available to users at the headquarters. Pick a Plan to Meet Unique Business Needs. The cloud-based system architecture of the EarthBend360 hosted voice platform supports high quality, high-definition voice audio with built-in business continuity solutions. 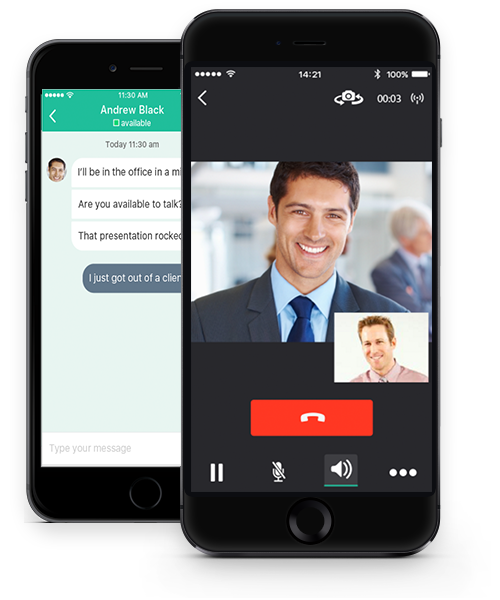 In addition, feature-rich unified communications and messaging applications ensure anywhere, anytime connectivity. We offer multiple service plan and pricing options to meet the unique requirements of any business. 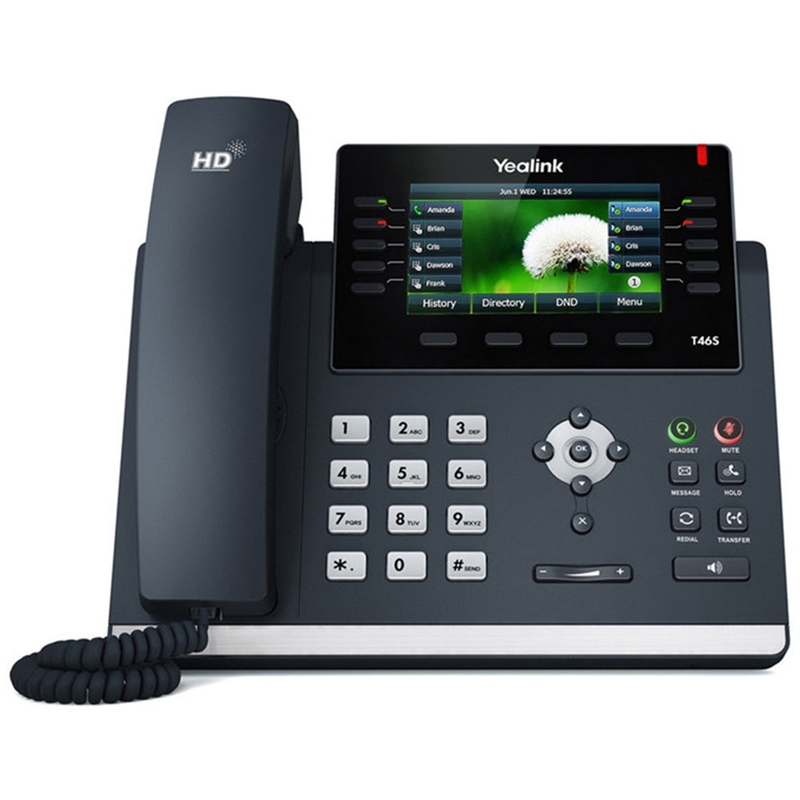 To help your customers stay connected, EarthBend360 offers a variety of market-leading Yealink and Polycom business IP phones. From powerful entry-level desk phones for knowledge workers, to executive phones offering more robust feature-functionality, EarthBend provides a full range of endpoint options to support an optimal business communications experience. The SIP-T42S IP phone is a dynamic business communications tool for superior voice communications and extended functionality. The SIP-T42S is a 12-line IP phone with multiple programmable keys for enhancing productivity. It is with Yealink Optima HD Voice Technology and wideband codec of Opus for superb sound quality and crystal clear communications. 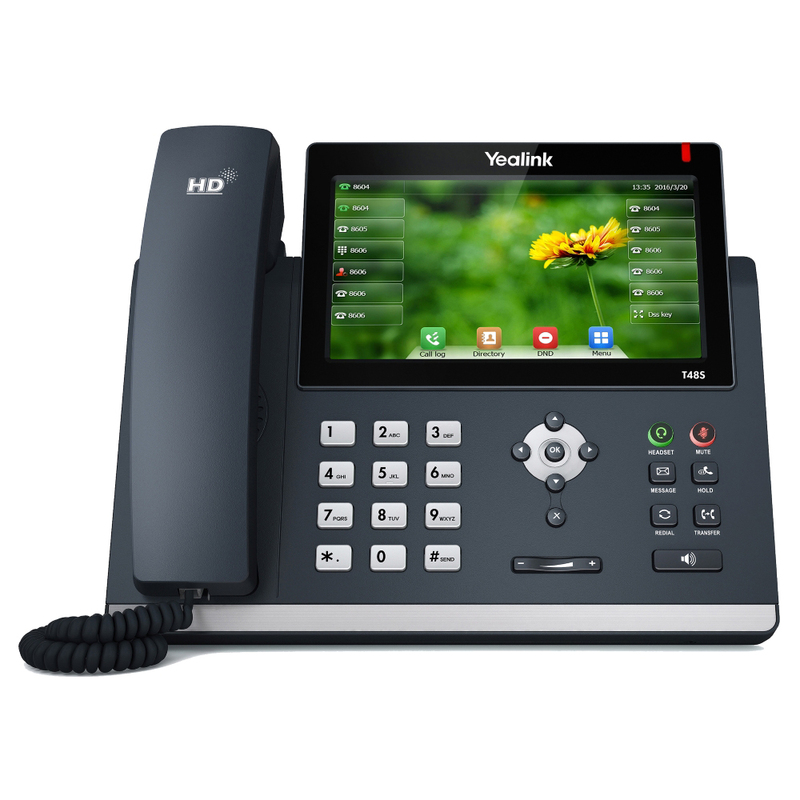 The Yealink SIP-T48S IP phone features a 7-inch touchscreen display as well as support for Optima HD Voice, Opus Codec, USB 2.0, HAC and more. The large touch screen makes switching between pages and applications swift, easy and convenient. Phone users will think they are sitting in the same room with one another. The W60 Package is a bundle of the W60B base and W56H handset, which delivers top-tier audio clarity and battery durability. The W60P Package is an ideal DECT phone solution for on-the-go communication. 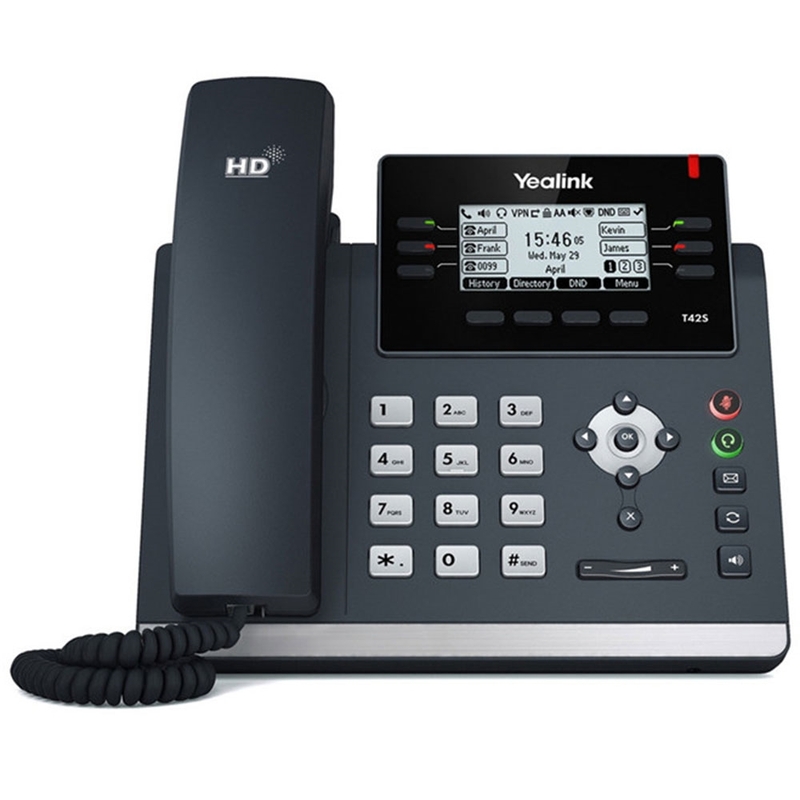 The Yealink CP920 is a VoIP conference phone that combines incredible sound quality and broad interoperability to provide a group call solution for business. The CP920 features Yealink Optima HD and Noise Proof technology, keeping your calls clear of distraction and making sure that every voice can be heard in gorgeous, wideband audio. The built-in three-microphone array provides 360° coverage out to 20 feet. 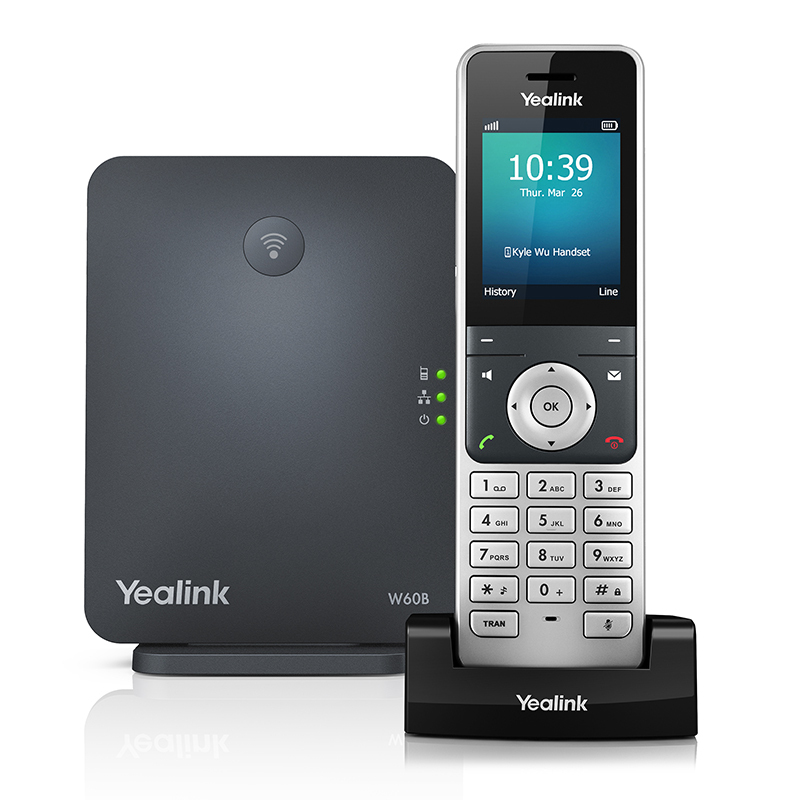 The Yealink CP960 conference phone is equally at home on the executive desk or boardroom table. It features a Y-shaped design with three-microphone array for 360° voice pick-up up to 20 feet. Its 10W 56mm Harman Kardon speaker and Optima HD sound processing deliver exquisite audio quality. Add two expansion microphones, wired or wireless, to extend the pick-up range of the conference phone, or an external loudspeaker for greater sound. 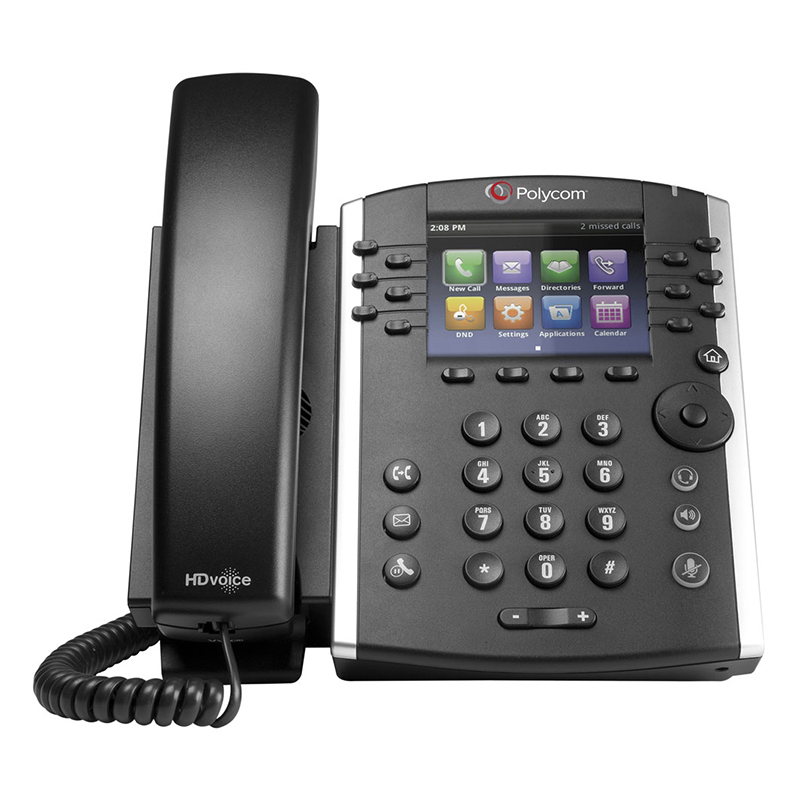 The Polycom VVX 301 is an entry-level VoIP phone that is easy to deploy and use. The VVX 301 has a bright 208 x 104 px backlit grayscale LCD screen, which clearly displays information. Polycom has included their HD Voice technology, giving you the most natural sounding communication over a business phone that you can get. Polycom Acoustic Clarity provides superior sound when conferencing. 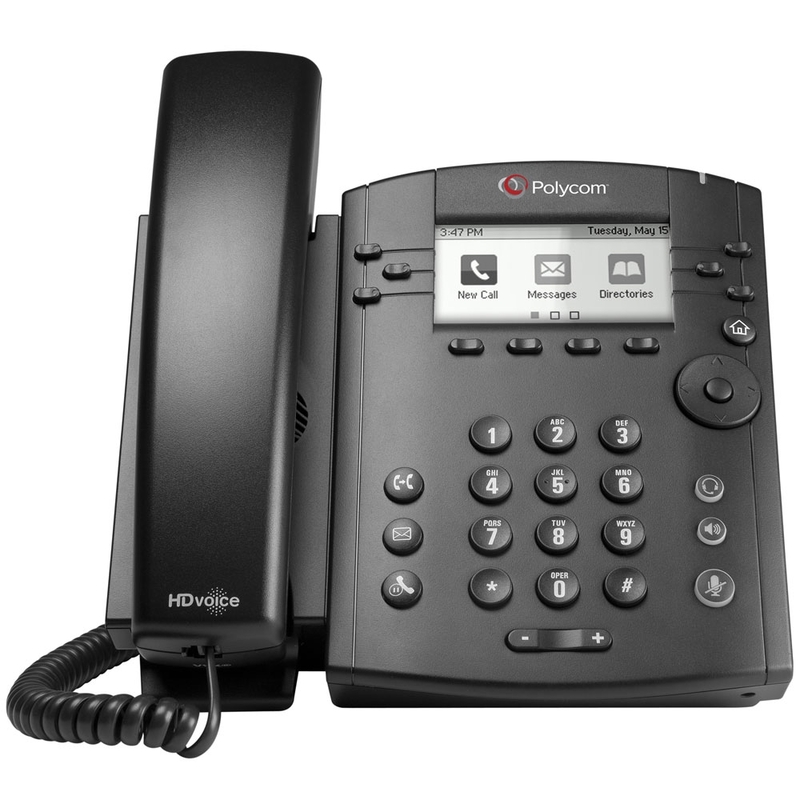 The Polycom VVX 311 is an entry-level VoIP phone with dual Gigabit Ethernet ports for future-proof speed. 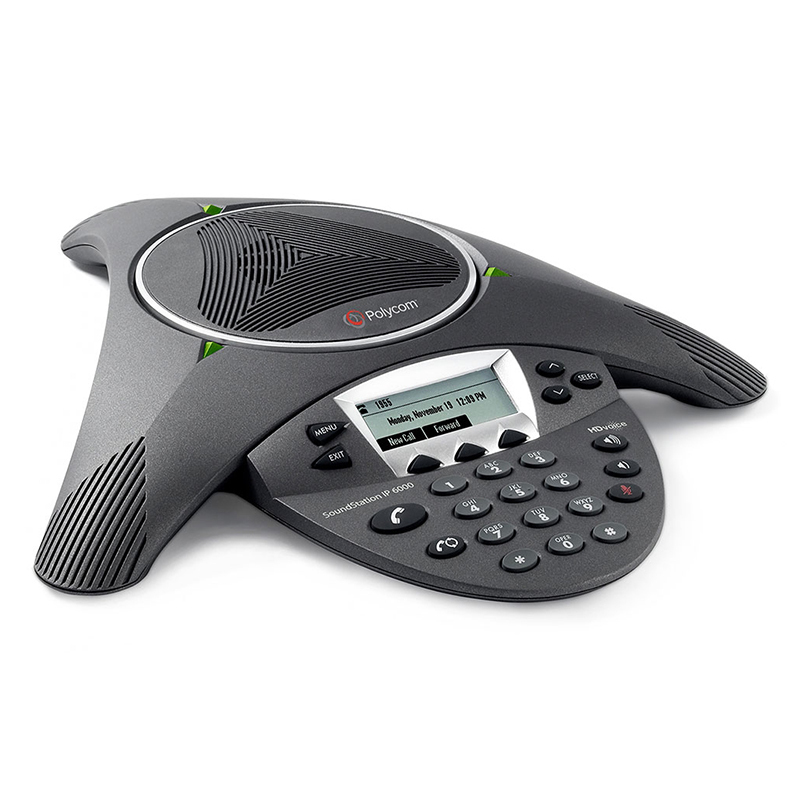 The VVX 311 enables everyday users to have Polycom HD Voice, the premier business phone audio technology. With six programmable line keys and four contexual soft keys, the 311 is no slouch when it comes to features. 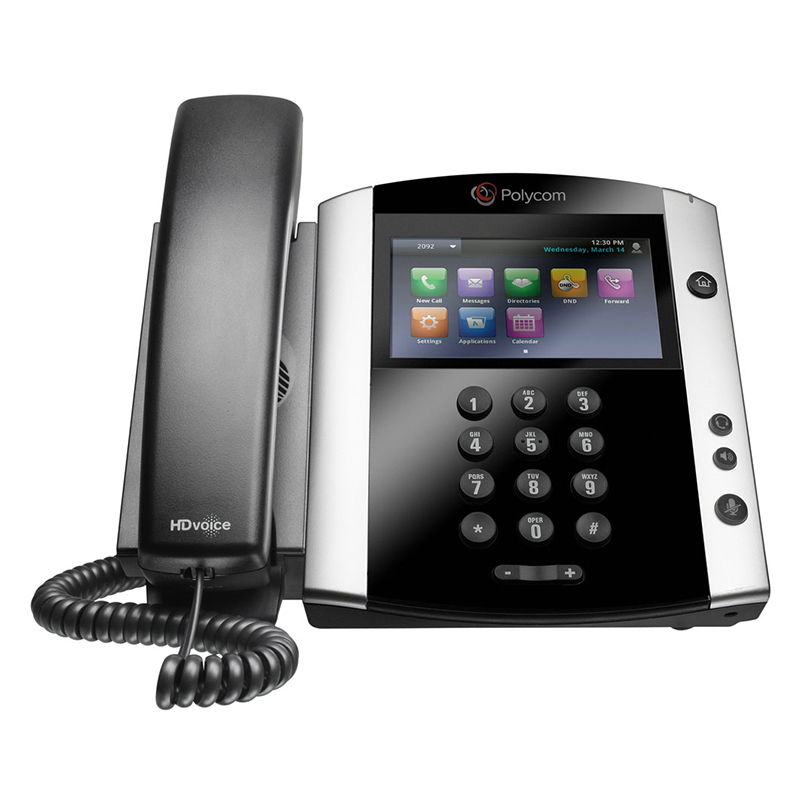 The Polycom VVX 401 is a mid-range VoIP phone with a 3.5″ color LCD display and twelve line appearances. Designed with the busy office worker in mind, the VVX 401 is intuitive to use and stylish to look at. 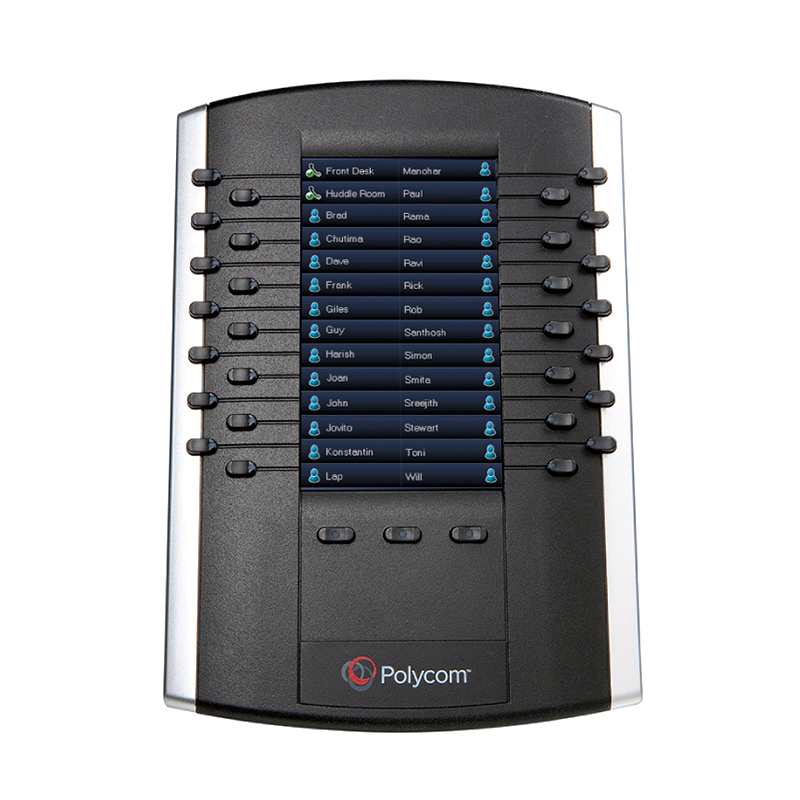 Polycom HD Voice provides exquisite audio, so voices sound clear and natural. The twelve programmable line keys and four context-sensitive soft keys give a powerful yet easy-to-use interface for the connected worker. The Polycom VVX 411 has two Gigabit Ethernet ports to provide a mid-range VoIP phone with future-proof speed. 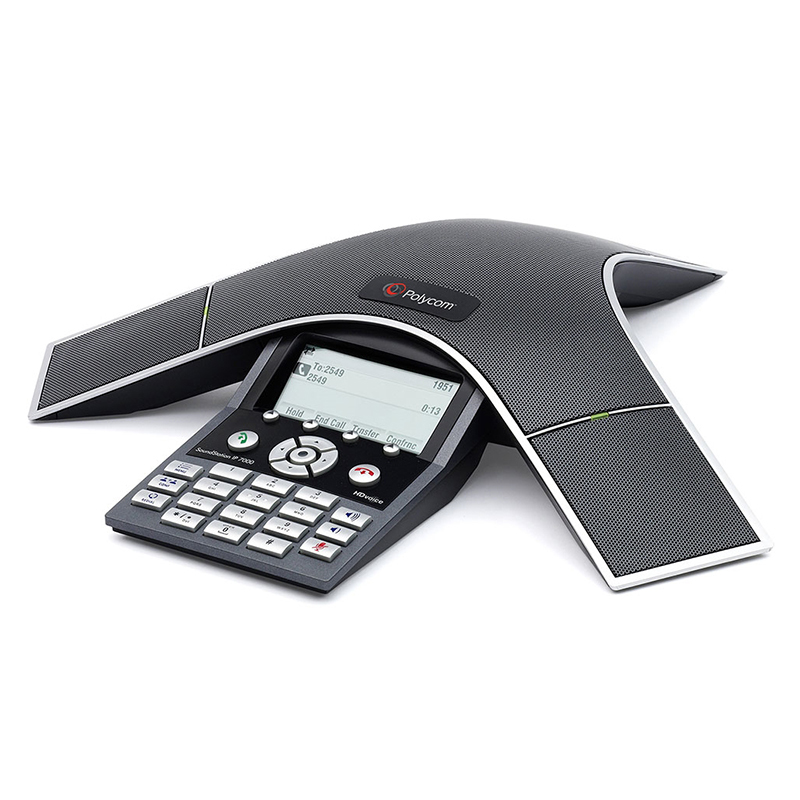 It includes Polycom’s HD Voice and Acoustic Clarity, as well as a host of audio enhancements. Twelve programmable line keys and four contextual soft keys give the user deep control. The 3.5″ color LCD is a bright and beautiful screen that looks great with the VVX 411’s stylish design. The Polycom VVX 501 is an IP phone for elite productivity. With Polycom HD Voice, the VVX 501 gives you incredible audio. The 3.5″ touchscreen display provides an intuitive, familiar interface for operating your phone, and is highly customizable. Polycom Acoustic Clarity keeps voices distinct during conferences. The 501 is video-capable. The optional VVX Camera allows you to transmit video from your deskphone. The Polycom VVX 601 is an executive IP phone, designed not only to look great on your desktop, but also to provide you with premium features and exquisite sound. The VVX 601 has a large 4.3″ 480 x 272 pixel touchscreen display that lets you operate the extensive functions in an intuitive, quick manner. 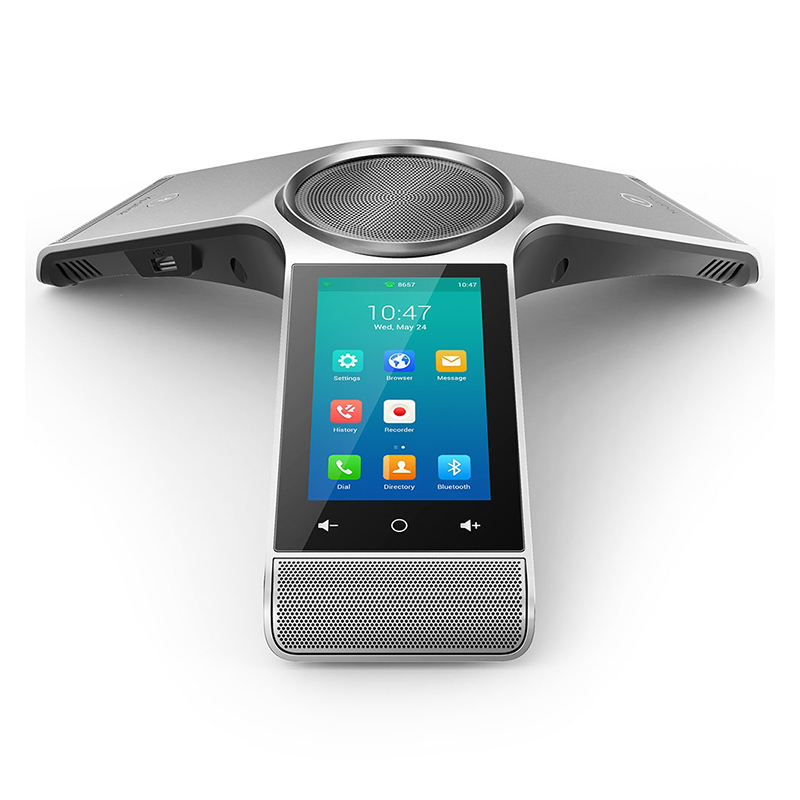 The phone is video capable, and an optional USB camera plugs into it, enabling HD video conferencing from your desk. Connect this expansion module to your Polycom VVX phone. This module provides 28 programmable fields via a large 4.3-inch LCD screen. View live extension statuses, set up speed dials, or any other telephony feature that can boost user productivity. This LCD expansion module can turn your phone into a viable attendant console. 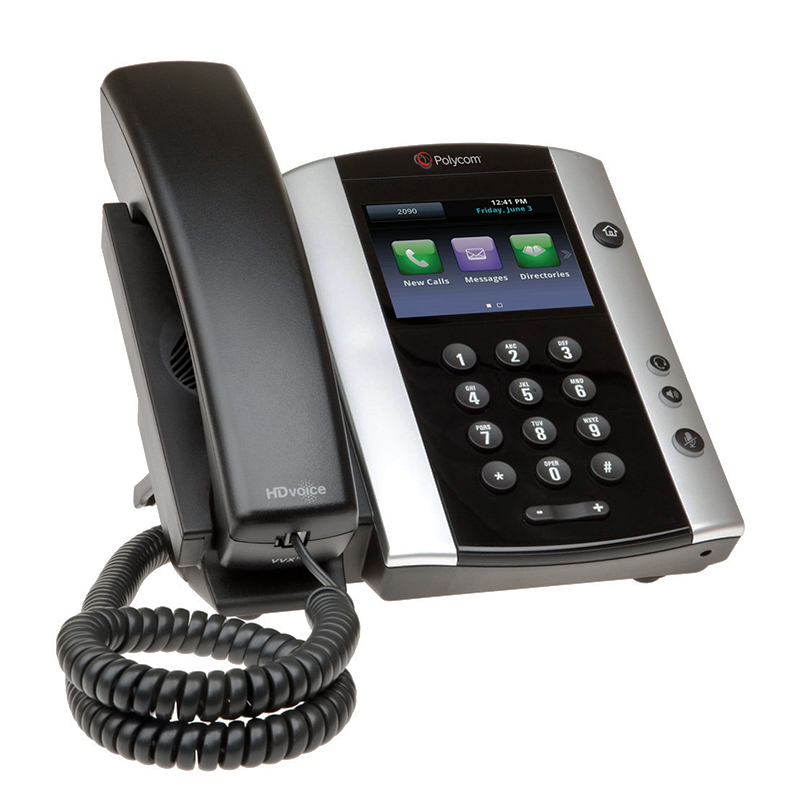 Compatible with the Polycom VVX 300/310, 400/410, 500 and 600 VoIP phones. 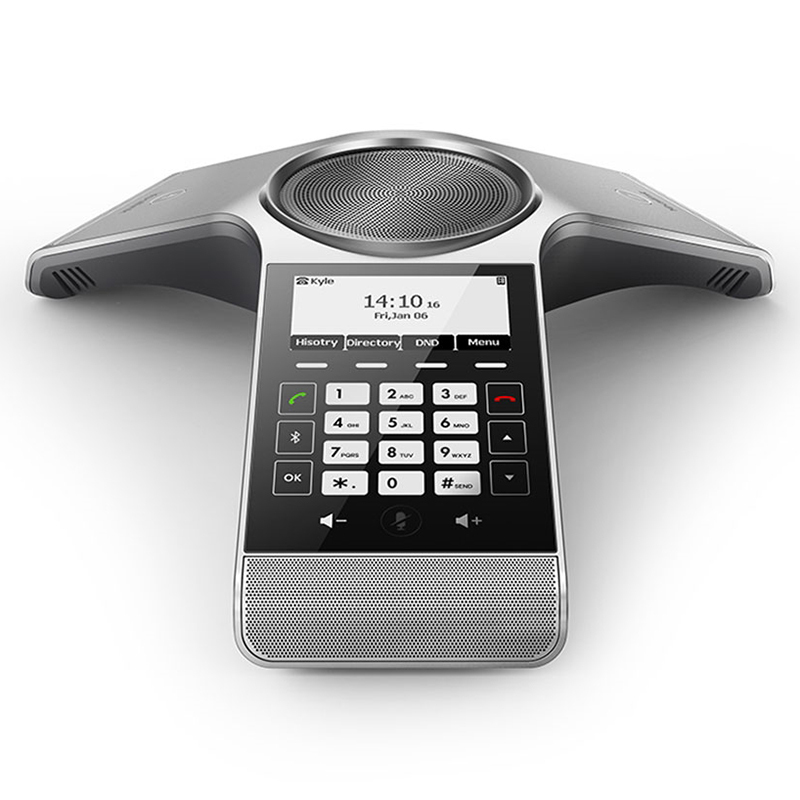 The Polycom SoundStation IP 7000 conference phone supports Polycom’s HD Voice technology, providing completely natural voice performance. No more straining to hear or understand conference participants. Set up this conference phone in a meeting room of any size, with the built-in microphone including a pickup range of up to 20 feet. Our hosted voice offering can help organizations of any size obtain superior communication capabilities that will improve business efficiency. To learn more about how switching to cloud PBX can best serve your customers, complete this form and an EarthBend360 team member will contact you.